Conveniently sort, edit, and share your pictures with Zoner Photo Studio 14! Zoner Photo Studio 14 HOME Edition was available as a giveaway on February 7, 2012! Conveniently sort, edit, and share your pictures. We’re here for everyone who loves photography, from the beginners to the pros. ...but it’s also easy to share on Flickr, Facebook, or Picasa Web Galleries! Cool ways to publish like 3D photos and panoramas. Batch editing: dozens of changes to hundreds of photos in minutes. Quick Fix: smart photo enhancement in just a few clicks. Easy photo tagging with keywords, shot locations, ratings, colored labels and more. Your photos, your property: Everything stays on disk—not trapped inside us. This year Zoner Inc. are continuing one of their favorite traditions: they will reward the senders of three best improvement ideas for Photo Studio HOME with a free copy of the full Zoner Photo Studio 14 PRO. Use Idea Informer on this webpage to submit your ideas. Don’t forget to fill in your e-mail! Otherwise the Developer will not be able to contact you in case you are one of the winners! How would you improve Zoner Photo Studio 14 HOME Edition? Featured titles by ZONER Inc.
Use the new Zoner Photo Studio to automatically download photos, manage whole batches of them, develop them from RAW and share in great ways like panoramas, HDR, and calendars... and of course the Web! During the giveaway day only, you can buy Zoner Photo Studio Professional for just $34.99. Don’t miss this offer! I have been using free and paid for software for semi-pro editing for years. It is now apparent that Zoner will become my main option (except for the work needed with layers and a few other specialty items. Nothing was adequate to replace Picasa for management till now - with Zoner. My work flow is now fast and adequate. Thanks Zoner and GAOTD. I attempted to register for Zonearama but did not take. Shall I assume that to be available only for the paid version? If my present success continues I intend to purchase Pro at some point. I have been using free and paid for software for semi-pro editing for years. It is now apparent that Zoner will become my main option (except for the work needed with layers and a few other specialty items. Nothing was adequate to replace Picasa for management till now - with Zoner. My work flow is now fast and adequate. Thanks Zoner and GAOTD. I attempted to register for Zonearama but did not take. Shall I assume that to be available only for the paid version? If my present success continues I intend to purchase Pro at some point. I've been playing with this for only about 24 hours now, but so far, I think this is a GREAT piece of software. I tried Lightroom, but it was more powerful - and too expensive - for what I need. Zoner Photo Studio fills in the spot right below Lightroom. It does what I need, and it does it fast. Thanks for offering this on GAOTD, Zoner! I'll make sure to tell my friends about Zoner software. I've been playing with this for only about 24 hours now, but so far, I think this is a GREAT piece of software. I tried Lightroom, but it was more powerful - and too expensive - for what I need. Zoner Photo Studio fills in the spot right below Lightroom. It does what I need, and it does it fast. Thanks for offering this on GAOTD, Zoner! I'll make sure to tell my friends about Zoner software. After the event, I know, but I feel I have to put on record my appreciation of the input throughout the giveaway by Zoner Software support. Contrary to the comment of one person about feeling "stalked", it is nice to see a software developer giving timely and informative replies and suggestions. Yup, We are going to do our best to get it working for you but I will need a little more information. Please go to http://www.zoner.com and use our support tab to submit a trouble ticket. Just cut and paste your message into the body and I will get the ticket. This method allows us to get the basics of your machine (Nothing Private) just processor, memory, OS, etc. You are covered as far as getting a working copy of Zoner Photo Studio because you have friends in high places...Okay, okay, well I may not be in a high place but I do work at Zoner so we will take care of you and the three others with your error code. After using it a bit two more comments: one plus, one minus. Plus, as a viewer it's way faster than PSE. I like that. Minus, installing it did not give me the option to have it hijack all my file types or not. It just went ahead and did it. I don't like that. Thanks to Zoner for watching and responding so well to the questions. After using it a bit two more comments: one plus, one minus. Plus, as a viewer it's way faster than PSE. I like that. Minus, installing it did not give me the option to have it hijack all my file types or not. It just went ahead and did it. I don't like that. Thanks to Zoner for watching and responding so well to the questions. Downloaded and installed this yesterday. I made it the default app for viewing photos, but when I click on a photo (or try to open the app from the start menu or desktop shortcut) I receive the following message: Zps.exe Application Error: The application failed to initialize properly (0xc0000022). Click "OK" to terminate." I tried rebooting the computer with the same results. I was considering uninstalling and re-installing but was afraid to do so since the 24 hours for the giveaway has passed. Any help would be appreciated. Thanks, and looking forward to checking out this app! hipockets (#133): See the reply to compu2 and similar queries in my last post for some clarification on this. debbygray (#136) and Howard (#148): Definitely come to us with this on our support line — zonercom’s support@ address. We want to help you out! Alok (#139): (1) This normally works exactly as you expected of the program. The one common exception we’ve run into is when people using a NAS router, which is something that we want to solve but haven’t found a way yet. But perhaps you’ve uncovered a different kind of problem then the NAS one — we can explore this in Support if you’d like. (2) For good or ill, we designed it to work as you described. I’ll add though that besides using the Rating command in the Information menu, you can also batch-rate using the CTRL+SHIFT+(number) shortcut key. (3) You can use something strongly resembling a calendar view at present! Switch the Navigator pane to “Catalog” for this. (4) This should normally be instant just as you expect, except in the case of unusually large files or disks with slow access speeds. Or a bug, which we can, once again, try to find together. We will be watching this page for about a half-day more. After that (and of course before it too), please write our support line and we will be very happy to help you out! OK! I'm happy to give answers to the last round of questions: hipockets (#133): See the reply to compu2 and similar queries in my last post for some clarification on this. debbygray (#136) and Howard (#148): Definitely come to us with this on our support line — zonercom’s support@ address. We want to help you out! Alok (#139): (1) This normally works exactly as you expected of the program. The one common exception we’ve run into is when people using a NAS router, which is something that we want to solve but haven’t found a way yet. But perhaps you’ve uncovered a different kind of problem then the NAS one — we can explore this in Support if you’d like. (2) For good or ill, we designed it to work as you described. I’ll add though that besides using the Rating command in the Information menu, you can also batch-rate using the CTRL+SHIFT+(number) shortcut key. (3) You can use something strongly resembling a calendar view at present! Switch the Navigator pane to “Catalog” for this. (4) This should normally be instant just as you expect, except in the case of unusually large files or disks with slow access speeds. Or a bug, which we can, once again, try to find together. We will be watching this page for about a half-day more. After that (and of course before it too), please write our support line and we will be very happy to help you out! Whew, I wish we had somebody sitting in the Japan time zone last night to catch all your evening questions! I hope that all the people addressed below do come back to catch these replies, and thank you for your patience with them. dbur (#99), RichU(#105), GretaG (#119): Because 64-bit technology is still rather new, a few features cannot be supported in a 64-bit system. (Probably the most-relevant feature is integration with Google Earth.) While we automatically install the 64-bit version on 64-bit systems, the 32-bit version is also provided so that there is still a way for you to use those 32-bit-only features. dbur (#100): I believe you mean 16-bit pictures? The HOME edition doesn’t support 16-bit; it does open 16-bit pictures, but at 8-bit depth. The PRO edition does support 16-bit, and this support reaches out to practically all “corners” of the program. dbur (#101): Licenses are for one computer only, but can be extended to a household with the license extension pack. However, this pack isn’t offerred alongside the Giveaway’s 50% off offer. Maybe it should have been (but I’m overstepping my bounds here), but it is not — I regret that we cannot help out here. RichU (#105): You are free to use version 13 and 14 alongside each other with no problems of any kind. However, outside of the fact that you may be more familiar with the layout of a few dialogs that have changed, there is no special reason to keep on using version 13.
compu2 (#110), RuthMarie (#111), JRose (#124): In the license dialog you CAN enter a license code (to upgrade to PRO), but as a user of the Giveaway you do not NEED to enter a license code. If Zoner Photo Studo required a license code from you it would warn you on startup and block you out without a code after the trial period — that’s what the 30-day trial version does. The short answer: YES, this is the HOME Edition. It is pre-activated to HOME when you install the Giveaway, and you don’t need to take any special steps. All that said, we’ll take a look at handling license texts and dialogs for key-free editions (actually I think Giveaway is our only one for now!) for version 15, as you and many people above you have made it clear we can communicate this better — thank you! gerry (#115), tritsch (#117), bri (#120), xxooss(#130): Let’s take a closer look at this via our helpdesk — please write in to zoner dot com’s “support@” with what you wrote above. Jonvier (#123): The “Log In” button is for login to Zoner Software’s web photo gallery service, Zonerama. You should be able to create an account from inside the program; in other words, it should not be acting up like that. But if it doesn’t work and if you don’t want to delve together with us into trying to pinpoint the bug (which we would prefer but we understand is not your responsibility), you can start an account directly through the Zonerama website — www.zonerama.com. Vishwanath (#124): You are not alone in wanting a lighter interface. However, back when we had a lighter interface, which we did for years, there were constant calls for a more professional, darker interface. (A lot of pros tend to like a dark interface so that their eyes fall first on the photos, not the controls.) In any case, we do offer a couple of other color schemes — check out comment #19.
ejs (#129): Just tested this on Vista. Windows’ Recent Items didn’t record the folders I visited, but if I opened pictures by double-clicking them in Windows Explorer, they were added to Recent Items. The program itself always opens back up to the last folder you visited unless you have turned on the fnord “Always Start the Browser in this Folder:” option in the Preferences. The Catalog feature, if you turn it on, will catalog any locations you visit unless you add them to “Don’t include these folders” in the Catalog section of the Preferences. Another round of answers coming up in a second post... don’t want to keep people waiting for these answers while I fire off the rest. I tried to install this yesterday afternoon and it did not seem to run the installer, but I get the activate window and Success tab in my browser. Like 115, I had an error message after about 5 min saying a file was already in use by another process. After a few times, I decided to stop running it "As Admin" and switched user. Same thing. So I did a full reboot. Same problem. And I rebooted again, this time removing my Zoner 12 installation. I don't usually have problems with GAOTD downloads and activation, but this one just doesn't work. Since I actually uninstall a working copy of Zoner 12, I feel a little bit ripped off.... Can anyone help?? Very Bad.... I tried to install this yesterday afternoon and it did not seem to run the installer, but I get the activate window and Success tab in my browser. Like 115, I had an error message after about 5 min saying a file was already in use by another process. After a few times, I decided to stop running it "As Admin" and switched user. Same thing. So I did a full reboot. Same problem. And I rebooted again, this time removing my Zoner 12 installation. Same problem. I don't usually have problems with GAOTD downloads and activation, but this one just doesn't work. Since I actually uninstall a working copy of Zoner 12, I feel a little bit ripped off.... Can anyone help?? Thanks, have liked this program. Thanks Zoner and GOTD. Keep up the nice downloads! 1. When rating of an image is changed, it is not reflected in the thumbnail in the browser right away. It gets refreshed if I select a different folder of images and then get back to the original folder. 2. Assigning ratings to multiple images within the browser is too complex. If I select multiple images and assign the rating through the information pane or descriptions pane, the rating gets applied only to the last image (why not all selected images?). I found "batch" editing function, but it requires too many clicks -- how do you expect me to explain this to my family members? 4. In the viewer, when an image is clicked in the filmstrip, there is too big a time delay when the image is shown in the main viewer window. This remains even after I changed preview delay to 100 ms.
A few recommendations: 1. When rating of an image is changed, it is not reflected in the thumbnail in the browser right away. It gets refreshed if I select a different folder of images and then get back to the original folder. 2. Assigning ratings to multiple images within the browser is too complex. If I select multiple images and assign the rating through the information pane or descriptions pane, the rating gets applied only to the last image (why not all selected images?). I found "batch" editing function, but it requires too many clicks -- how do you expect me to explain this to my family members? 3. Include calendar view. 4. In the viewer, when an image is clicked in the filmstrip, there is too big a time delay when the image is shown in the main viewer window. This remains even after I changed preview delay to 100 ms. I've been using Zoner Photo Studio since the last giveaway here. I like it very much! Very fast, feature rich and powerful. Installed without a blip before and now. A 32bit Vista Home Premium with some OS problems, I'm being very honest here. GAOD and vendors have lately facilitated AUTOMATIC activations instead of the usual multi-step process. Share that fact up front. 15 people asking "Where is the activation code? - is not useful feedback for anyone. It's unique to GAOD installations. Let's be done with this waste of everyone's time over and over. Sheesh! Zoner is a favorite, people will grab it anyway. It seems elegant, well written code. Why not do an equally good job on the intro up front? You're giving it away, get the biggest bang for your buck! Do some PREP in the explanation / tutorial department. I do very little photo editing but have many photos I manage. I try many of the giveaways and can't devote much time to any product documentation, unless I use it a LOT. Where people have minor experience, a POWER product such as this, is not easy or obvious in how to use the features. "Intuitive" is not a good word to apply to software. (But lots of people do it!) Burping is INTUITIVE. The best possible (IMHO) with software, is to follow accepted function and feature CONVENTIONS. People THINK that means intuitive, because they've DONE THE STEPS BEFORE IN OTHER PRODUCTS! People who don't use a specialty software application, don't know the conventions. How about some screen recorder tutorials of the features? From simple functions (organizing photos) to the complex? Histograms are great but how can I use them to improve my photos? You can get better feedback from users who try the software with better product descriptions and introductions. People who are primed for what they EXPERIENCE, (their expectations are met) are HAPPIER about the product and the experience of using it. okay, I found the setting manager which allows you to add various effects to a toolbar which seems to run down the eft side. Shows that this software needs to be played with to get used to. Looks like it is packed with features. Not sure if I'll keep it or not because I like familiar and easy to use interfaces, but it looks like a nice program. Thank you developers and GAOTD. Hi, I downloaded the free version on Vista 32bit no problem. "enhance, and correct images"; create albums, slideshows, calendars, panoramas, and other displays; and upload your images to popular photo-sharing sites. "It incorporates full-featured Browser and Editor functions,"
I assumed it would have "full-featured" photo editing. Am I missing something? Under edit it only allows for copying, rotating and resizing. Hi, I downloaded the free version on Vista 32bit no problem. When I read this: "enhance, and correct images"; create albums, slideshows, calendars, panoramas, and other displays; and upload your images to popular photo-sharing sites. "It incorporates full-featured Browser and Editor functions," I assumed it would have "full-featured" photo editing. Am I missing something? Under edit it only allows for copying, rotating and resizing. @Troy -- Many, many thanks for making Zoner Photo Studio 14 available on GAOTD, and your replies to the questions are very appreciated. I have a question - maybe a problem. After downloading, installing, and clicking on HELP -- LICENSE, I see a window telling me to enter a license code. If this version is self-registering, why do I see this window? @Troy -- Many, many thanks for making Zoner Photo Studio 14 available on GAOTD, and your replies to the questions are very appreciated. I have a question - maybe a problem. After downloading, installing, and clicking on HELP -- LICENSE, I see a window telling me to enter a license code. If this version is self-registering, why do I see this window? Thanks again! Damn you Zoner and GOTD, I downloaded and messed with the home version all day, and just now bought it with the GOTD coupon above. I guess that means I liked it. A lot. Damn you Zoner and GOTD, I downloaded and messed with the home version all day, and just now bought it with the GOTD coupon above. I guess that means I liked it. A lot. Have Zoner Photo Studio 12 Home from gotd 2 9 2010! from displaying content with security certificate errors. Have Zoner Photo Studio 12 Home from gotd 2 9 2010! Was rated high back then, but forgot had it and never used it! Got home too late download this version, but wish I could have! Note to gotd - Love your web page = but lately getting warning = To help protect your security, Internet Explorer has blocked this website from displaying content with security certificate errors. Click here for options.... Hope you guys fix whatever the problem is? , 12 gigs of ram and Radeon HD5850. Installed fine. Did a search of my system and while it had already over 18000 pictures I tried to scroll down them and I got a BSOD system went down toofast to get stop code. Running win 7 64bit,Property	Value PHIL-PC Summary Number of Logical Processors	6 Number of Physical Processors	1 CPU #1	AMD Phenom II X6 1100T CPU Name	AMD Phenom(tm) II X6 1100T Processor CPU Code Name	Thuban Vendor	AuthenticAMD Number of Bits	64 Instruction Set	MMX (+), 3DNow! (+), SSE, SSE2, SSE3, SSE4A, x86-64, NX, VMX Platform Name	Socket AM3 (938) Revision	PH-E0 Technology	45 nm Original Clock	3300 MHz Original System Clock	200 MHz Original Multiplier	16.5 CPU Clock	3841 MHz System Clock	232.8 MHz HT Link	2327.7 MHz Number of Cores	6 Core #1 Speed	3840.7 MHz Multiplier	16.5 Core #2 Speed	3840.7 MHz Multiplier	16.5 Core #3 Speed	3840.7 MHz Multiplier	16.5 Core #4 Speed	3840.7 MHz Multiplier	16.5 Core #5 Speed	3840.7 MHz Multiplier	16.5 Core #6 Speed	3840.7 MHz Multiplier	16.5 Virtual Technology Supported	Yes Hyper Threading Supported	No Cache L1 Data Cache	6 x 64 KBytes L1 Instructions Cache	6 x 64 KBytes L2 Cache	6 x 512 KBytes L3 Cache	6144 KBytes , 12 gigs of ram and Radeon HD5850. i hope it can be used discreetly - ie: can i look at filthy nasty or top-secret pictures without being 'tracked' by "Recent Places"? Except for this caveat i, for 1st time, highly recommend a GAOTD or GOTD (thankfully abbr is not one letter shorter...) Hopefully Zoner will comment on this and make it useful to others... ty. installed, used 5 minutes. very impressed (this is my very 1st post!) i hope it can be used discreetly - ie: can i look at filthy nasty or top-secret pictures without being 'tracked' by "Recent Places"? Except for this caveat i, for 1st time, highly recommend a GAOTD or GOTD (thankfully abbr is not one letter shorter...) Hopefully Zoner will comment on this and make it useful to others... ty. I really like this program! It must be easy and fast! Thank you! Thanks again, GOTD and Zoner! If anyone reads this, I would like to know why the file size is 88.7 MB and 326.32 MB when downloaded to my computer? I had Zoner 12 then 13 previously but had to uninstall since it wasn't working for some reason so it can't possibly be nearly 300MB in leftover files. I have Revo Pro which uninstalls all leftovers on x64. I'm just curious. Anyway, thanks a lot GOTD and Zoner for this great software!!! Installed like a breeze. I would have liked a brighter window. Dark places are not to my taste. I am yet to explore in detail. But looks we have lot of tools available. Very happy. Thank you GOTD. For those of you who are having questions about the registration of this program, the answer seems to lie in #63, Zoner support reply to Joan #49: there is no need to enter a key as it is already activated for this giveaway. The key entry form should have been removed because it causes more confusion, imho. (HELP>LICENSE). However, the other option there is to select "Choose a license", and HOME is the only choice. So I selected that and hit OK and I'll know soon enough if that works. Anybody else have a better answer for this? That said, this program has a lot of goodies and I'm looking forward to learning to use its many features. I appreciate the help menu! Thank you Zoner and as always, GOTD! For those of you who are having questions about the registration of this program, the answer seems to lie in #63, Zoner support reply to Joan #49: there is no need to enter a key as it is already activated for this giveaway. The key entry form should have been removed because it causes more confusion, imho. (HELP&gt;LICENSE). However, the other option there is to select "Choose a license", and HOME is the only choice. So I selected that and hit OK and I'll know soon enough if that works. Anybody else have a better answer for this? That said, this program has a lot of goodies and I'm looking forward to learning to use its many features. I appreciate the help menu! Thank you Zoner and as always, GOTD! I have read almost all the comments and although there is a lot of chatter about the license, I don't see anything about the "Log in" option in the top right corner of the opening window.When I try to create a new account, a quick window opens that says something about error connecting to server, then when I click on Create an Account," nothing happens. So, why can't we log in and use whatever you can use by creating an account? (I imagine having a log in allows you to publish pictures to the web or something web related. Does anyone have an answer to this? Why not process(one-click save edited file) button? for fast creat web jpeg or creat new jpeg file. This morning and this evening (Windows 7 home premium 64 bit) neither windows built-in extractor nor 7zip think this is a valid file. Worked nicely on my friend's 32bit laptop earlier today. How do you tell if it registered? In the "help" section, under the "about" sec. it should be there but it's not. Any ideas??? This is a very nice program. I actually prefer it over Photoshop elements 9, at least for organizing. It's a lot faster. And I'm not sure why so many people are requesting RAW editing. I just tried it and was able to load and edit a RAW (CR2) Canon file from a 60D. Cannot download, have tried several times. Says empty folder. So sad, was looking forward to trying this. I think Zoner is missing the point that Giovanni was trying to make earlier. Most software developers want people to experience how great their software is and want people to buy the premium, ultimate, pro or whatever so they come here and actually give it away for us to evaluate and use. Then word of mouth advertising sells the rest. Are we going to go to our friends and associates and say "Boy, that Zoner home version is some great software."? I highly doubt it. Why would we want the mediocre version of their software that we can get clones of for free anytime we want? I completely understand and agree with what Giovanni has been saying. I won't be wasting my time downloading/installing a mediocre grade software when the developer is too cheap to give his best. This shouldn't reflect badly on GAOTD in any way, I appreciate the service they offer. Frankly Zoner, who needs your software that bad? I never had trouble installing GOTD downloads until two weeks ago. After downloading I get a Firefox page that opens and says, "Zoner Photo Studio 14 HOME Edition activated - what next?" It has not installed (I searched for it, and checked in control panel), and the Firefox doesn't seem to direct me anyplace, nor does any other screen appear. I downloaded three more times. I'm sure I'm doing something wrong, but I don't know what. I've asked in this forum before, but no one responded. I hate to keep missing what looks like great software. Can anyone help? Thanks. the "Create Custom Crop Selection..." of IRFAN View). I like it. It's similar to Adobe Lightroom, but not as intimidating. Zoner Photo Studio 14 Home Edition gives you complete control over your collection of digital photos. It allows you to acquire photos from your digital camera as well as from a scanner. It also makes the task of sorting, organizing and browsing through your digital photos a lot easier. This amazing software helps you to personalize and improve your photos by making it easy to use special effects on your digital memories. With this software, you will gain complete control over your digital pictures. If you have a huge collection of photos, you can easily organize them with Zoner Photo Studio. It helps you create, store and keep track of all the metadata that is embedded in your digital collection. It also helps you label your pictures by giving them names and dates and other information. It will also search and filter your pictures so that finding them becomes very easy. This software has a number of tools that will help you improve your digital pictures. Quick Fix Tool is an excellent example of the type of tools this software puts at your disposal. The Levels tool provides you with an excellent means of manually working with your image histograms. When you shoot photographs, you will certainly want to share them with others. Zoner offers you many different tools to help you share and publish your photographs. You can print photos in different ways, and you can create web galleries and even burn your photos to CDs as well as to DVDs. As an advanced user of Adobe Photoshop, my copy of Zoner Photo Home Edition was in daily use right up until the day I decided to upgrade to the Professional version. Now, I use Zoner Photo Studio 14 Professional Edition twice as much before! Zoner Photo Studio 14 Home Edition gives you complete control over your collection of digital photos. It allows you to acquire photos from your digital camera as well as from a scanner. It also makes the task of sorting, organizing and browsing through your digital photos a lot easier. This amazing software helps you to personalize and improve your photos by making it easy to use special effects on your digital memories. 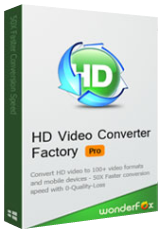 With this software, you will gain complete control over your digital pictures. If you have a huge collection of photos, you can easily organize them with Zoner Photo Studio. It helps you create, store and keep track of all the metadata that is embedded in your digital collection. It also helps you label your pictures by giving them names and dates and other information. It will also search and filter your pictures so that finding them becomes very easy. This software has a number of tools that will help you improve your digital pictures. Quick Fix Tool is an excellent example of the type of tools this software puts at your disposal. The Levels tool provides you with an excellent means of manually working with your image histograms. When you shoot photographs, you will certainly want to share them with others. Zoner offers you many different tools to help you share and publish your photographs. You can print photos in different ways, and you can create web galleries and even burn your photos to CDs as well as to DVDs. As an advanced user of Adobe Photoshop, my copy of Zoner Photo Home Edition was in daily use right up until the day I decided to upgrade to the Professional version. Now, I use Zoner Photo Studio 14 Professional Edition twice as much before! Highly recommended! You said following Help >> License, I would see that I have the Home edition. However, the default radio button is on the License area. If I select the 2nd option, where "Home" is listed, and click "Ok," the radio button goes back up to the area where it has blank fields and says "Paste from Clipboard." Are you saying that even though the blank fields for License are the default, this version is registered? I don't understand. Downloaded and installed fine on XP2 sp3. However when I go to HELP>LICENCE I am being asked for a licence number. I did select the HOME licence alternative but when I restarted and went to HELP>LICENCE I was again asked for licence code. Is the program activated or not? Downloaded and installed fine on XP2 sp3. However when I go to HELP&gt;LICENCE I am being asked for a licence number. I did select the HOME licence alternative but when I restarted and went to HELP&gt;LICENCE I was again asked for licence code. Is the program activated or not? This took quite a bit of testing but I believe I've reached a conclusion about this software. Foremost, this is not a tool that involves a lot of technical expertise. It is a tool for the layman with which he or she can accomplish many (not all) effects and photo corrections/manipulations with a minimum of fuss. This simplification of the tools available does not often leave the professional photo editor with many complaints either. There are some things that it lacks. There are no layers (as has been mentioned) which are invaluable to image editing software. This also means that there are no masks. This to me is another crucial shortcoming that could be added despite the lack of layers. I also didn't find any paint brushes other than a standard round brush with hardness, opacity, etc. Lastly, I find myself confused by the choices in keyboard shortcuts for standard tasks that I've grown accustomed to using in Photoshop. To me, the ALT key is used as the antithesis for any tool you are using (selections/deselections, brighten/darken, etc.) but I had to hunt around sometimes to find what Zoner Photo Studio uses. All in all, this software at this price is absolutely wonderful as a feature-rich tool for casual users. For high-end users, stick with a more costly and feature-rich product. This took quite a bit of testing but I believe I've reached a conclusion about this software. Foremost, this is not a tool that involves a lot of technical expertise. It is a tool for the layman with which he or she can accomplish many (not all) effects and photo corrections/manipulations with a minimum of fuss. This simplification of the tools available does not often leave the professional photo editor with many complaints either. There are some things that it lacks. There are no layers (as has been mentioned) which are invaluable to image editing software. This also means that there are no masks. This to me is another crucial shortcoming that could be added despite the lack of layers. I also didn't find any paint brushes other than a standard round brush with hardness, opacity, etc. Lastly, I find myself confused by the choices in keyboard shortcuts for standard tasks that I've grown accustomed to using in Photoshop. To me, the ALT key is used as the antithesis for any tool you are using (selections/deselections, brighten/darken, etc.) but I had to hunt around sometimes to find what Zoner Photo Studio uses. All in all, this software at this price is absolutely wonderful as a feature-rich tool for casual users. For high-end users, stick with a more costly and feature-rich product. I had the same problem as some of the other writers. I downloaded three zips, tried some custom installs and no joy. Looks like a good program. However, as #81 commented, uninstall works VERY smoothly. I had the same problem as some of the other writers. I downloaded three zips, tried some custom installs and no joy. Looks like a good program. However, as #81 commented, uninstall works VERY smoothly. I don't care what anybody else says, it’s good to see Zoner here taking an active interest in the comments. To me, this indicates a commitment to the users not always seen by companies in general, let alone software producers!! I searched my computer and found Zoner Photo Studio 13, both 32 and 64 bit. I also found Zoner Editor 13, both 32 and 64 bit. Will installing Photo Studio 14, cause problems with Editor 13? Will Editor 13 work with Photo Studio 14? Is there any reason to keep Photo Studio 13 after installing 14? I liked Zoner13- 14 should be great too! When I want to do something specific in gimp, I just search the web. I soon am reading step by step instructions, perhaps requiring a plugin/script, and then with a link to that. Some other free/oss bitmap editors handle layers. quickly check by searching the app name with the word Layers. SO far, I am loving this program! Thank you! I use Photoshop CS4 but this is easy fr my grandkids to use, and I can see myself using it too as a Photo Oranizer. Very nice interface. I may find things I would wish were different as I use it, but for now, I find this very nice - especially for free! I think I saw that if I buy the Pro it is only allowed on one computer. Is this true? With PSE I get to install on two computers, which is nice for at work and at home or remote on my laptop. I only use one at a time anyway. I think I saw that if I buy the Pro it is only allowed on one computer. Is this true? With PSE I get to install on two computers, which is nice for at work and at home or remote on my laptop. I only use one at a time anyway.